Spring has officially sprung and many people find themselves choosing Canada as their next travel destination. A chance to explore the country and visit their Canadian family and friends. It’s also a popular time for Canadian residents to invite their out of country relatives to come and visit them. If you’re planning a trip to Canada or welcoming your overseas guests, Visitors to Canada (VTC) Insurance is what they need. A common misconception about travel insurance is that your home country’s health insurance will protect you wherever you go. Unfortunately, this is not the case. Once you leave home, your health care coverage may not cover you while in Canada. Pack your suitcase for things you can expect like the weather, but also remember to plan ahead for unexpected accidents and illness with VTC Insurance. You might be a last-minute packer but don’t wait to purchase travel insurance. Ensure you have all of the requirements for entry into Canada and review the common Visitors to Canada travel insurance benefits. Buy before you leave so you’re covered as soon as you arrive in Canada. An extra perk? Your VTC insurance may also cover visitors for short trips across the border into the United States – bonus! If you’re in Canada on a work visa, newly immigrated or returning to Canada after being away – visitor’s insurance covers you as well. Temporary medical plans are available to fill the gap created by waiting periods and residency requirements for provincial healthcare. Unlike a work visa, a Super Visa is only purchased for parents and grandparents that have children living in Canada. This multi-entry permit is valid for up to 10 years and allows parents and grandparents to stay up to 2 years in Canada per visit. The perks of this visa come with one particular cost – proof of purchase of Canadian medical insurance. It must be valid for at one year and offer a minimum of $100,000 in coverage. If you or your family member needs help with an insurance plan that will best fit your needs, send us some details and we can help! While in Canada… want to try a new and daring adventure? 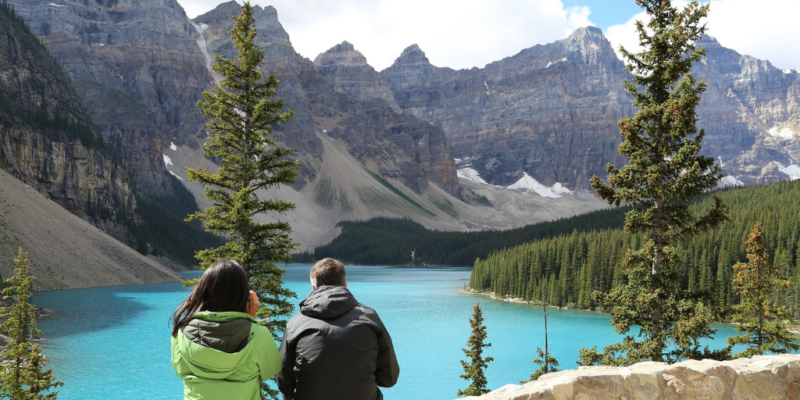 Canada is home to the Rocky Mountains, Great Lakes and countless national parks, just to name a few. Many adventure seekers world-wide come to explore these attractions. If this is you, guess what! With the Adventure Sport Coverage, you’re able to get a rider on your existing travel insurance that will cover you on your next thrilling activity. Be sure to look into other optional coverage plans that may be available to you. We want Canada to be a country you enjoy coming to visit. We also want it to be a home you are proud to share with your family and friends. Make any visit worry-free when you buy with confidence and ensure that you and your visitors are covered.